* Graduated from New York Medical College in Rehabilitation Medicine (4 Year program). * Former Chief Resident at New York Medical College. * Graduated from Guangzhou and Jiangxi Colleges of Traditional Chinese Medicine in China, with training in Acupuncture, Chinese Herbology, Tai Chi, Qi-Qong, Tuina and more (Total 8 years advanced program). 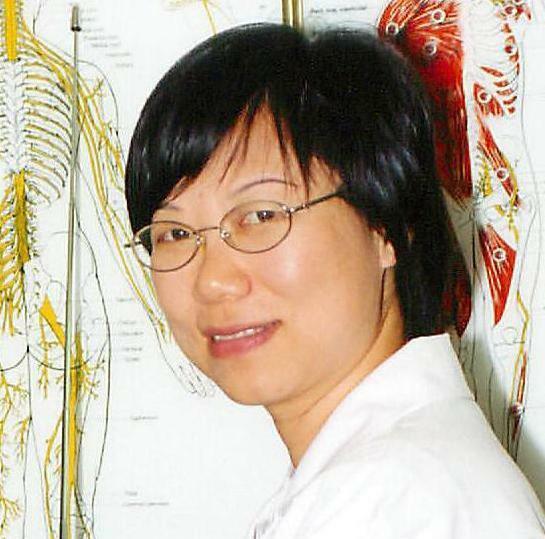 * Has practiced Chinese Medicine since 1984. 1. American Board Certified in Physical Medicine and Rehabilitation. * Fellow Member of the American Medical Association and the American Academy of Physical Medicine and Rehabilitation. * Studied immune disorders as a research fellow at Albert Einstein College of Medicine, in N.Y. between 1989 and 1995. * Appeared on Good Morning America, and was written about in an article in the Greenwich Times. Dr. Jun Xu also is the Clinical Assistant Professor at Department of Rehabilitation Medicine of New York Medical College, NY and Attending Physician at Stamford Hospital, CT.
* Graduated from the Guangzhou and Fujian Colleges of Traditional Chinese Medicine in China with training in acupuncture, Chinese herbology, Tai Chi, Qi-Gong, Tuina and other disciplines in an eight year advanced program. * Graduated, and Certified in Cosmetic Acupuncture, from Guangzhou Modern Beauty Technical Training Center and General Beauty College of Silver Flower Hong Kong in 1989. * Has practiced traditional and cosmetic acupuncture, and Chinese Herbology since 1983. 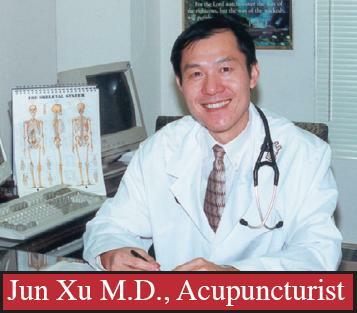 * Clinical Director of the Acupuncture Detoxification program at Montefiore Medical Center of Albert Einstein College of Medicine in New York since 1993. * Worked as a research scientist studying Molecular Biology at Albert Einstein College of Medicine in New York from 1989 to 1997. Jimmy received his Doctor of Physical Therapy degree from Franklin Pierce University in Manchester, NH. Jimmy currently resides in Manhattan, NY and has done clinical rotations at some of the tri-state area’s best Physical Therapy facilities. Jimmy’s primary interests include outpatient sports medicine, manual therapy techniques, and incorporating a total body approach to all of his patients. As a former collegiate basketball player at Eastern Connecticut State University, Jimmy became interested in sports medicine early in his undergraduate career. Currently, Jimmy uses his Certified Strength and Conditioning Specialist (CSCS) certification alongside his Physical Therapy training to promote positive long-term results dealing with a wide variety of illness and orthopedic conditions. Jimmy has received training in the Selective Functional Movement Assessment through the Gray Cook Institute and currently operates his own small business in the New York/Connecticut region as a strength coach for high-level athletes. Jimmy is a member of the National Strength and Conditioning Association and has previously done research regarding manipulation of the spine along with research in the treatment of lower extremity osteoarthritis.